Happy Thursday my Dies R Us friends!!! 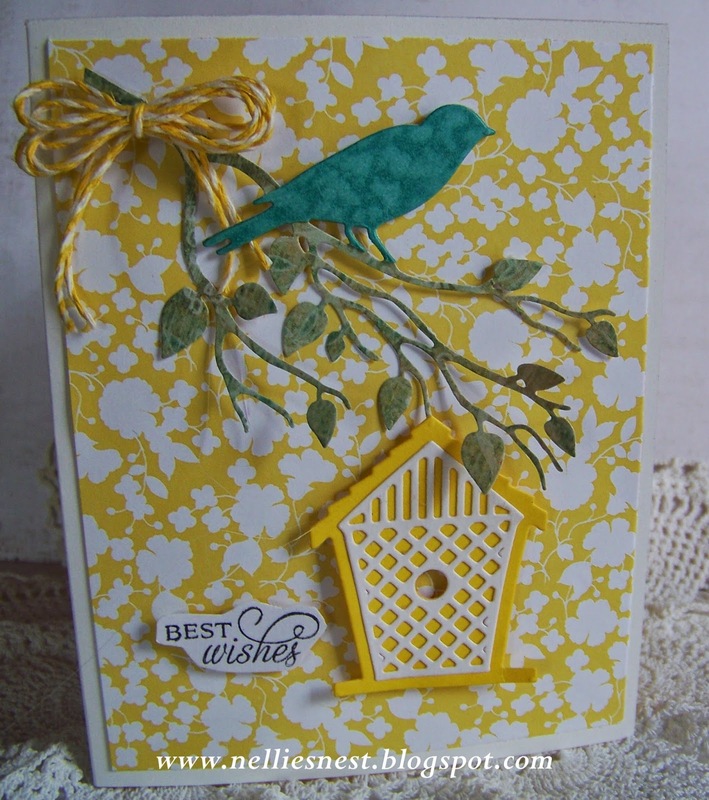 My card I am sharing with you today seems to scream Spring! I cut the Impression Obsession Bird On Branch twice. First from a green paper and a second time from a blue paper. and paper pieced him to the one on the green paper,.....easy! and hung it off the branch. and a stamped sentiment I fussy cut out. there are so many to choose from, you will be amazed!!. 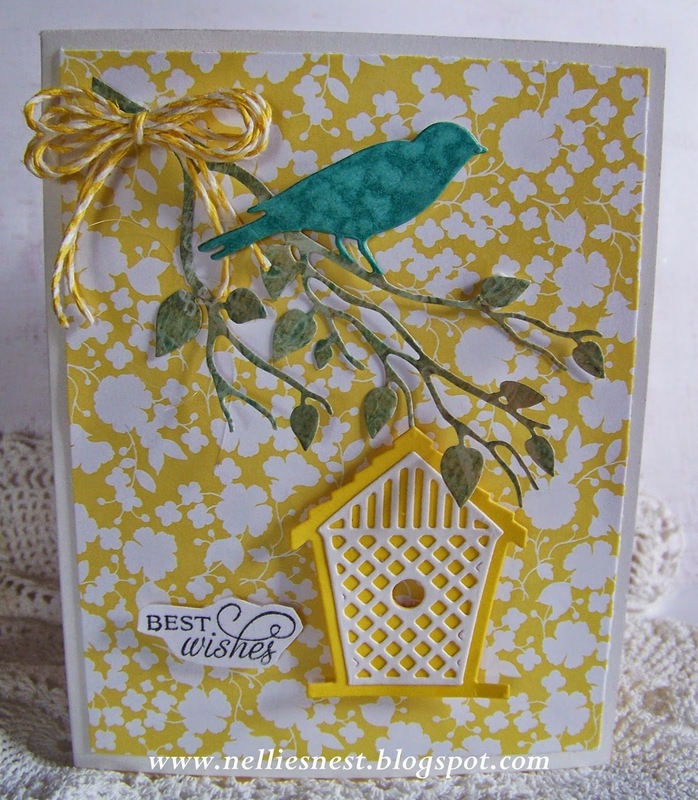 I love this card, especially the way you incorporated the bird and birdcage!